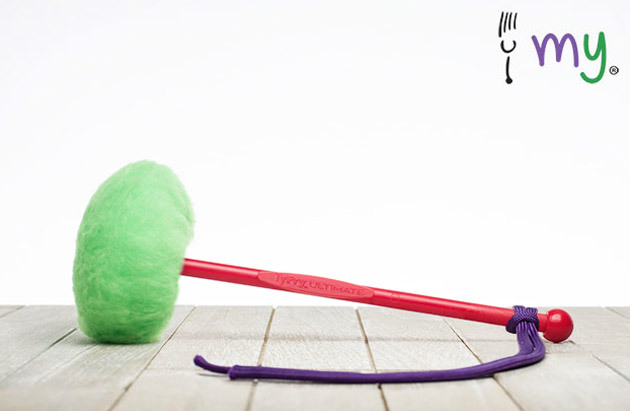 myTyFry® presents a whole new approach to the way you shop for custom tenor drum mallets. The revolutionary myTyFry® Design Studio puts the customisation process completely in your hands, allowing you the freedom to select your choices of head, shaft and cord, generate and share your vision online before you buy. What you see is what you get without any inconvenient phone calls or lengthy e-mails, myTyFry® handles your exact specifications right at the shopping cart. With the sheer range of possibilities and pure simplicity, myTyFry® truly is the custom tenor drum mallet like no other. The only difficulty you’ll have is deciding what combination will make up your myTyFry® Ultimate. It just couldn’t be easier… Imagine. Create. Play. Full online customisation, real-life visualisation and social media sharing in the myTyFry® Design Studio. New blue, light blue, green, orange, purple, red and yellow 8.5″ injection moulded Acetyl shafts exclusive to the myTyFry® range. Available as Ultimate with permaTONE™ head technology. High quality flourish cords with removable core can be used rounded or flattened to suit the preference of the player. Eighteen head, eight shaft and fifteen cord choices provide 2,160 possible design combinations. Hassle-free ordering at shopping cart. Visit the the myTyFry® Design Studio now at my.tyfry.com and get to work creating your new myTyFry® Ultimate Custom tenor drum mallets. myTyFry® Ultimate Custom is available from participating TyFry® dealers worldwide. Customers in Canada and the United States can purchase online from the TyFry® shop. All myTyFry® photography, music, video and sound production by Andrew Lawson. All myTyFry® Design Studio design and programming by GusWeb. Product branding by Scott Currie Ltd.